Some patients affected by the ongoing industrial action embarked upon by resident doctors across the country have appealed to the Federal Government to resolve the doctors’ demands amicably to save their lives. They spoke with the News Agency of Nigeria (NAN) in separate interviews yesterday in Lagos, on the ongoing nationwide strike by the doctors. The National Association of Resident Doctors (NARD) had, on September 4, directed its members nationwide to embark on an indefinite strike to press home their demands. 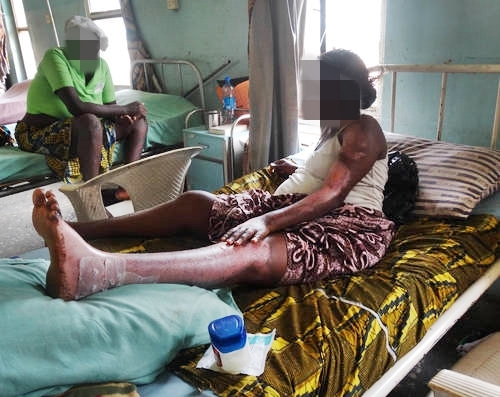 One of the patients at the National Orthopaedic Hospital, Igbobi, Lagos, Mrs Faith Ehijie, who brought her son for routine clinic, appealed to government to look into the doctors’ demands in the interest of the poor patients. While expressing disappointment with the doctors’ action, Ehijie said: “By now, the nation ought to have gone over the issue of strike in our health institutions. Government should make the doctors’ welfare a priority to avoid frequent strike; we all know their importance in the society. “The clinic routine is not as usual today because some of the doctors are on strike, and this makes the process to be slow." Another patient at the hospital, Mr Adeoti Oki, commended the hospital management and other doctors on ground for their abilities to manage the patients in spite of the resident doctor’s strike. “We didn’t expect to get attention; although it is a bit slow, as you can see, we are still being attended to. We still want the government to please resolve the issues with the doctors who are on strike, so the service can get better,” he said. Another patient, Mr Badaru Ahmed, said he was waiting for his turn to see a doctor who was attending to the patients in the waiting room. When contacted, the LASUTH Chief Medical Director, Prof. Adewale Oke, said the hospital was working and patients were being attended to. “We are working and attending to the patients on ground,“ he said.